Bringing a new life into the world is a deeply personal decision. By taking time to understand the details of how surrogacy works, you can step forward confidently, knowing that you’ve done your homework. While these questions and answers will get you started, surrogacy is an experience as unique as the individuals involved. After you have read through the information on our site, we would love to schedule a consultation with you, whether you are an Intended Parent or wish to become a Surrogate yourself. The most important thing to know about how our agency works is that we stay involved in the process, helping everyone through this journey in a positive and loving manner. Call us at: 503-498-5067 or email us to get answers. What is the difference between a Traditional Surrogate and Gestational Surrogate? A Gestational Surrogate, which is the most common, is a surrogate who is not genetically connected to the child she is carrying. Her eggs are not used at all. The eggs are retrieved from the Intended Mother or an egg donor, are fertilized with the prospective father’s sperm or sperm donor in a lab. The embryo is then transferred to the Surrogate’s womb through in vitro fertilization, or IVF. A Traditional Surrogate is a Surrogate who donates her egg and will be the biological parent of the child she is carrying. The Surrogate is artificially inseminated with the Intended Father’s or donor sperm using a process known as intrauterine insemination, or IUI. This process allows fertilization to occur naturally. Yes, we do! We have worked with parents from around the world, and know how to navigate international surrogacy arrangements. We also understand that there may be special needs and requests for any parents coming from abroad. Our staff will assist you with your travel plans and see to it that you have everything you need during your stay. What are our chances for conceiving a successful pregnancy? Every pregnancy is different; but, our overall pregnancy success rate is currently at 85%. About 65% occur on the first attempt. While everyone’s fertility journey will differ, most of our clients successfully achieve a pregnancy and take home a baby. 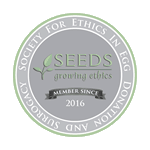 The age of the eggs is very closely tied to the success rate, which is why we only accept donors within the optimal age range. How long does it generally take to become matched? We usually have a good number of Surrogate candidates available, so that there is a good opportunity to find a well-suited match. It may take as little as a few days, or as long as several months to find the ideal candidate. Our onsite matching program will help to get you started; then, we will help you narrow down the choices based on similar beliefs, interests, preference of relationship between you and the surrogate, and overall compatibility. Finding the right Surrogate for you is the most important part of this journey. You should not rush, nor make a choice based on availability or convenience. Why does someone choose to become a Surrogate Mother? The reasons why someone chooses to become a Surrogate vary by individual, but most often these women feel compelled to give back to their community or society. Often, they are women who feel grateful and blessed to have easily conceived their own children, and they want others to experience all the joys of having a family of their own. This is truly the most unselfish and amazing acts of kindness that anyone could offer. Financial draw aside, surrogacy is not for everyone but the women who feel especially called to do this. What are the basic criteria for a Surrogate candidate? What types of clients do you take on? We work with both couples and individuals from all walks of life regardless of age, marital status, sexual orientation or ethnic background. If you want to have a baby, we want to help. It is common for prospective parents to worry that the Surrogate will not give up the baby when he or she is born. But, this rarely happens. In the cases where this has occurred, it was usually related to traditional surrogacy where there is a genetic relationship between the child and the Surrogate. For everyone’s protection, Surrogates with Surro Connections will have entered into a valid and enforceable contract with the intent that the child she will be carrying is that of the Intended Parent(s). Legal and physical custody will go to the Intended Parents. We have a screening process that helps us to find the most suitable Surrogates, ones that are determined to be both emotionally and mentally prepared for surrogacy. This process greatly reduces the risk of psychological stress related to the situation after delivery. Surrogates are not women who want more children of their own. They are women who simply desire to help another person or couple experience the joy of parenthood. What level of involvement will be required of the Parent(s) during the surrogacy arrangement? A surrogacy arrangement is unique to the individuals involved. We like to find out up-front what level of involvement you are comfortable with. We will also discuss what the Surrogate expects. We encourage our parents to have open communication with their Surrogate and allow the relationship and/or friendship to develop during the course of this process. Whether you can go to all the appointments together or not, a certain degree of on-going communication is important. This will help you feel connected to the pregnancy and child, and ensure that relevant information is shared. We work hard to ensure that everyone feels that we have found the right match for them, and that the relationship is what everyone needs and expects it to be. What is the anticipated compensation a Surrogate would receive? A Surrogate’s average compensation package ranges from $24,000 up to $40,000, depending upon her previous Surrogate experience. This includes compensation for procedures, expense reimbursements or lost wages. While it may sound like a lot, this is not “easy money”. All Surrogates go through a screening process so that the sacrifices and risks are well understood. There are medications involved, along with injections, IVF procedures, a greater chance for conceiving multiples, hormonal changes, stress, physical wear and tear, a significant time commitment, and other sacrifices made by both her and her family. The primary benefit in being a surrogate is to help someone start a family. This has to come from a deeply caring part of her nature; and, the real reward is much more than the financial aspect.